Goa PWD minister Sudin Dhavalikar on Tuesday ruled out immediate 'blacklisting' of consultancy firm Louis Berger indicted in an international bribery scandal, saying such a step would only be taken after the police probe is complete. A new director had been appointed for the Rs.1,031 crore Japan International Cooperation Agency (JICA)-funded water and sewerage management project, for which police claim bribes worth $976,630 were paid to a former chief minister and former PWD minister, Dhavalikar told reporters here on Tuesday. "Let police complete its probe. I cannot take a decision on that right now," Dhavalikar said, when asked if the company would be blacklisted by the public works department (PWD) from future consultancy projects. Top officials of Louis Berger have already pleaded guilty to offering bribes to the tune of $3.9 million to secure contracts in countries like India, Vietnam, Indonesia and Kuwait. While the settlement announced by the US Justice Department did not identify the politicians and officials who were offered the bribes, documents revealed that $976,630 in bribe was paid during 2009-2010 to a Goa minister and other officials. Louis Berger was part of a consortium that eventually won a contract to execute the JICA-funded water and sewerage project in Goa. 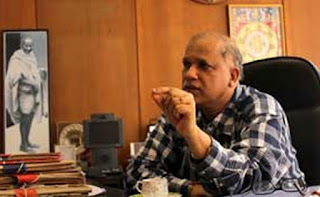 The Goa Police Crime Branch has claimed that the bribes were paid to then chief minister Digambar Kamat, then PWD minister Churchill Alemao and other officials. Both have denied the allegations. Dhavalikar said principal chief engineer D.G. Borkar was appointed the director of the JICA project, after the arrest of former director Anand Wachasundar in connection with the bribery case.